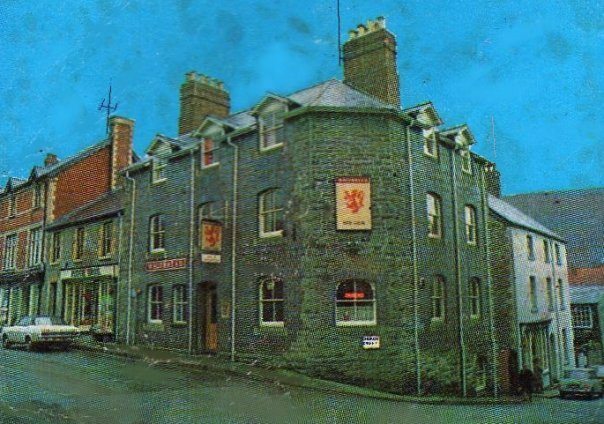 The Red Lion has a rich history, since its beginnings over a hundred and fifty years ago. 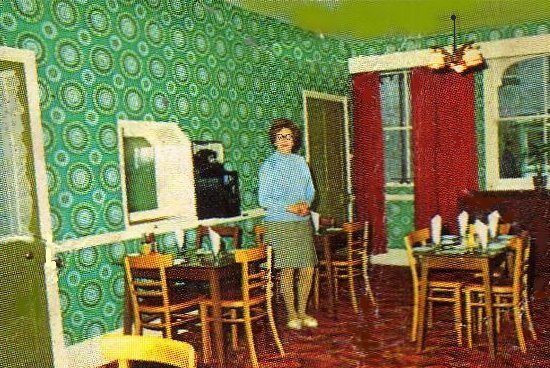 It was, according to the locals who always know best, “the best pub in town” and to this day is remembered as an excellent watering hole, despite some wallpaper malfunctions! 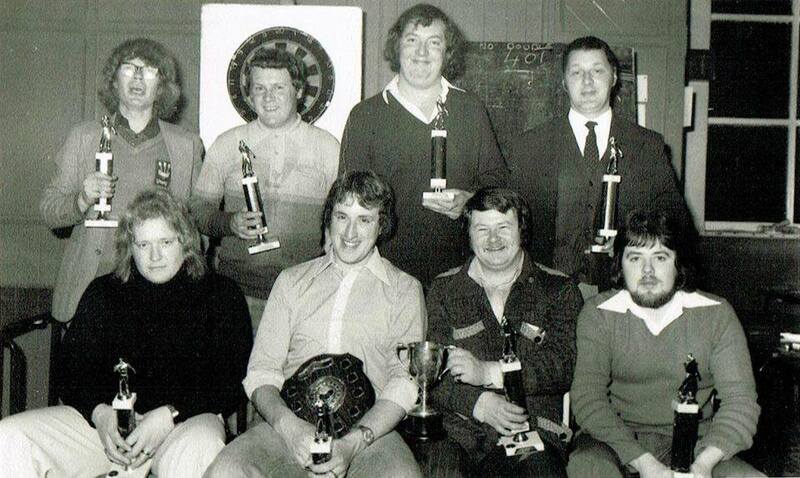 It has also boasted an excellent darts team, shown here in 1970. The dining room in 1960. Look at that cracking wallpaper! Sadly, it was closed in 2009, and after that became a storeroom for a herbal remedy company (we are still finding pills underneath the floorboards! ), before being bought by Harry who dreamed of opening a pizza restaurant. Unfortunately, this was never to be and in 2015 Neil Taylor and his family, who had been looking for a premises for over a year, bought The Red Lion with the aim of offering the people of Knighton and the surrounding area a pub and restaurant with a difference. From May to October 2015 they worked hard alongside local Knighton tradesmen to rejuvenate the sadly neglected building; completely re-plumbing and rewiring from top to bottom, building several new walls and installing quality features such as a log burner. Neil reinstated a new and contemporary bar and reconstructed the cellar; the heart of any good pub. He tasted and handpicked the beers (a tough job but it needed to be done!) and the upper floors were completely reconfigured to to provide four cosy ensuite Bed & Breakfast rooms. All of the hard work has certainly been worth it! Why not take a look at the restaurant or rooms to see what The Red Lion can offer you? 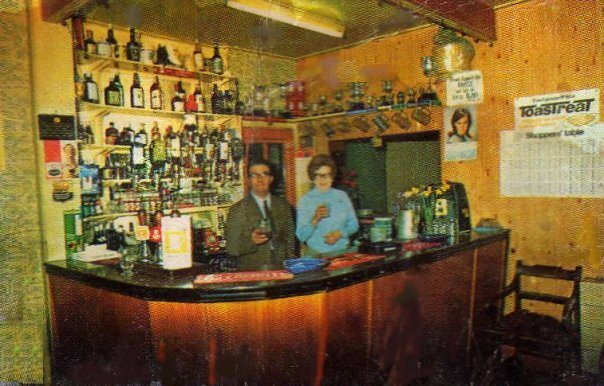 If you have any memories or photographs of The Red Lion, we’d love to see them! Either find us on Facebook or Twitter or come in, say hello and have a pint!